Olivia Olson has much to celebrate and share with fans. She is in the unique position of getting to do a lot of cool and creative stuff with her dad, comedy writer Martin Olson. For starters, both are voice talent on the animated series “Adventure Time” on Cartoon Network. This is one of the most creative, quirky, and strangest shows on television. 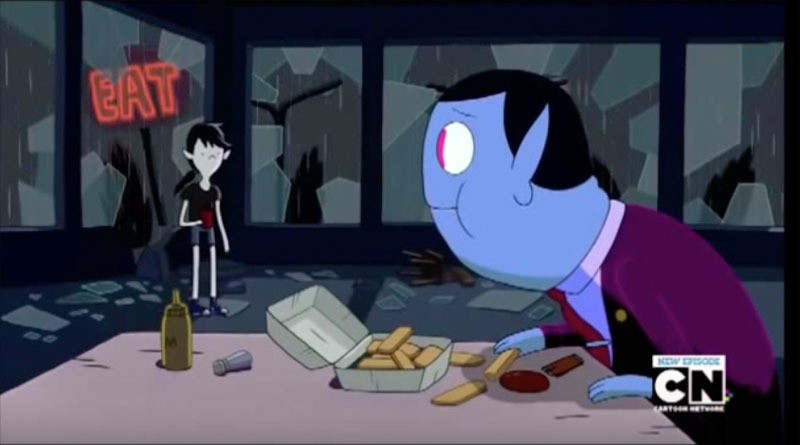 If you know the show, all I need to say is: Marceline the Vampire Queen and, her dad, the Lord of Evil, Hunson Abadeer! 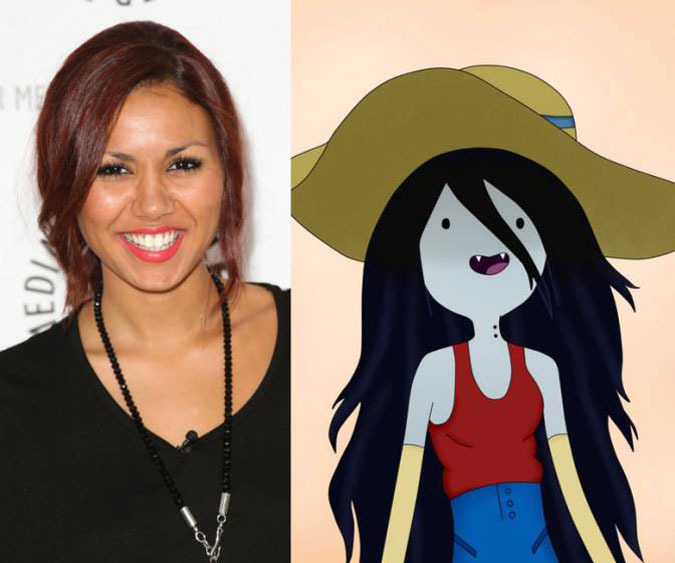 It was Adventure Time’s very own creator, Pendleton Ward, who recruited Olivia Olson, and later on Martin Olson, to become part of the show and the rest is history. As Olivia describes in this interview, it was just a natural progression that led her to follow in her father’s footsteps into show business. Sure, it can be a harsh business but, with the right guidance, special things can result. In the case of this father and daughter, it has led to not only performing together but also writing together. The first Adventure Time book was “The Adventure Time Encyclopedia,” written by Martin Olson. And that sparked an interest in Olivia to join in. 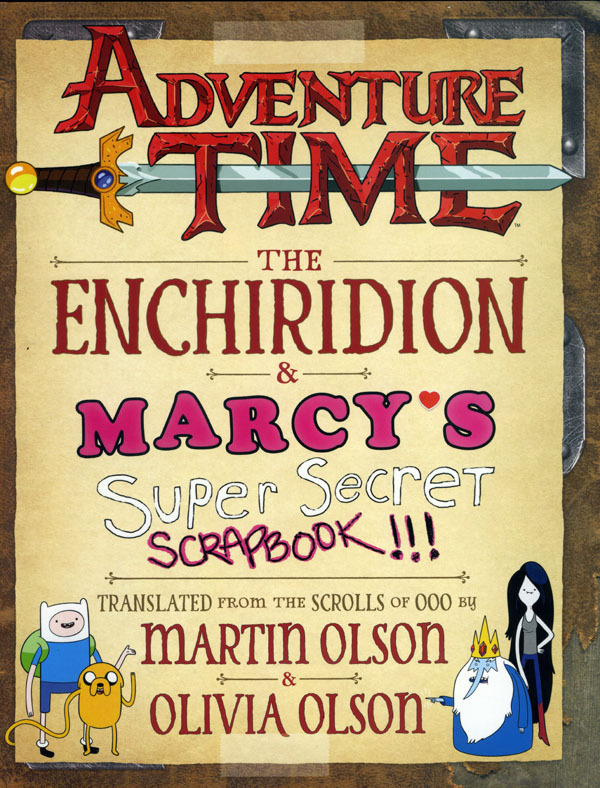 Now comes a new book that goes even further, “Adventure Time: The Enchiridion & Marcy’s Super Secret Scrapbook!! !” You can read my review here. This one is a collaboration between the two. Martin Olson focuses on the Enchiridion. And Olivia Olson focuses on Marcy’s Super Secret Scrapbook. But there’s more to it than that and we cover it in the interview. One thing that Olivia wanted to point out is that this book is not only two books in one. When you think about it, it’s actually four books in one! You see, the Enchiridion covers two separate books: one for Heroes; and one for Wizards. And Marcy’s Scrapbook is actually two books: a journal by Simon Petrikov, aka The Ice King, the man who raised Marceline; and a journal by Marceline. The full interview with Olivia Olson follows and includes the podcast at the end. Henry Chamberlain: I read that the idea for this book began on a subway ride in New York City with you, your dad, and editor Eric Klopfer. Would you tell us about that, what you were anticipating doing on the book? Olivia Olson: It’s a funny story since originally I wasn’t going to be part of the writing process. I helped a little bit for our first book, the encyclopedia for Adventure Time. That was mostly my dad writing it and I had so many notes to give him because, at the time, he didn’t know too much about the show. He said, “How about if I keep the wrong information and you keep correcting me throughout the book.” That was my first little snippet of writing. We were at New York Comic Con, with the first book being so well received, and we just thought we needed to do another book. The first book had been successful. And we knew how much my dad wanted to tackle writing the Enchiridion. At the time, we didn’t know how we were going to fuse the Enchiridion with Marcy’s Scrapbook. That came about way later. We sort of tricked our publisher, Abrams, into having me be a co-author on the book. I wrote my segments and submitted them and then, after they provided feedback, we revealed that the writing was mine. HC: There’s such a literary quality to Adventure Time stemming from the original creators, your dad. And now you, part of the next generation. Would you describe to us growing up in that world, being exposed to all that creativity, getting to write with your dad. OO: It’s so funny because, when I was a little girl, I always wanted to act and sing, all that kind of stuff. My dad, being in the business, did not want me to have anything to do with it since, you know, it’s hard on children being part of that. So, he frowned upon it. But here I was growing up among all these comedians and writers and actors so it was kind of impossible for him not to expose me to the world. Not in a million years would I have thought that I’d be performing and writing right alongside him. It is such a funny coincidence as I grew up in animation. I grew up with all these people who worked in cartoons. But I never really thought that was to be my path. I always thought it would be more like Beyonce or Mariah Carey. It’s just so weird. People like Tom Kenny and his wife used to babysit me and my brother. Now I get to play a character with Tom Kenny. And I get to write with my dad. HC: From what I observe, it looks like it’s all coming together naturally. For instance, your dad never considered himself an actor, even though he has that performing background. OO: We joke about it. We’ve been doing this all our lives and now we have a job where we’re getting paid for it. Adventure Time has provided all these amazing outlets. I started off as an actor. My dad started off as a writer. Now, five years later, he’s an actor on the show and I’m a writer. It’s really amazing that Pen Ward, the creator of Adventure Time, gave us these opportunities to not only work as father and daughter but explore the range of our talents. HC: You have a very distinctive voice and style for Marceline the Vampire Queen. And you bring her to life so well in this book. This is quite a unique two-books-in-one. Could you describe your take on your writing process–and how your songwriting background comes into play. I can think of some lyrics that you include in the book. OO: There’s definitely a lot of poetry and lyrics spread throughout the Scrapbook part. It’s funny that we pitch it as a two part book because, if you really delve into it, you see that it’s a four part book. The Enchiridion side has two parts, one for Heroes and one for Wizards. And the Scrapbook has a journal by Simon Petrikov followed by a journal by Marceline. The Scrapbook was originally going to be something completely different. I wrote summaries for every episode I’d ever done. I was following along with each episode and wrote a diary entry for what Marceline might write on that particular day. That’s what we originally submitted and then we end up scrapping all of that. We wanted to dive deeper into the backstory since Marceline is such a mysterious character. We really wanted to cover the Mushroom War and how tragic her story really is. It was when I added the poetry that it kicked in. I had never written a work like this before. It was something new. I definitely started off by writing a lot of poetry for it. And that made me feel more connected to my character. HC: What do you hope readers will get out of the Scrapbook? I am thinking that, for young readers, they will get a fuller appreciation of how a character is depicted in a different medium. You see Marceline one way in an animated format and you see her in a different way in a literary format. Can you speak to how the character can do different things in different media? OO: I think all the work outside of the actual series, and that includes the video games, comics, anything like that, is technically not canon to the show. We worked extremely hard with everyone involved to have our contributions match as closely to what is happening on the show. And that was a huge help in having us align with “Stakes,” the new mini-series that’s just come out. It gave us a platform to jumpstart where Marceline was going next and learn more about her. I was so excited about this since Adventure Time fans really get down and dirty with everything. That’s what is so great about the show. It sparks the imagination. Fans have all these theories about what’s going on in the show. We went through so many drafts to stay true and do justice to the show. I was really impressed with what we ended up with, being able to go deeper into the characters, taking a different approach from the random humor the show is known for. When the show began to dig deeper into the characters, we wanted to do the same. HC: What are you reading now or what sort of books do you like? OO: Right now, I’m reading a zombie apocalypse book. 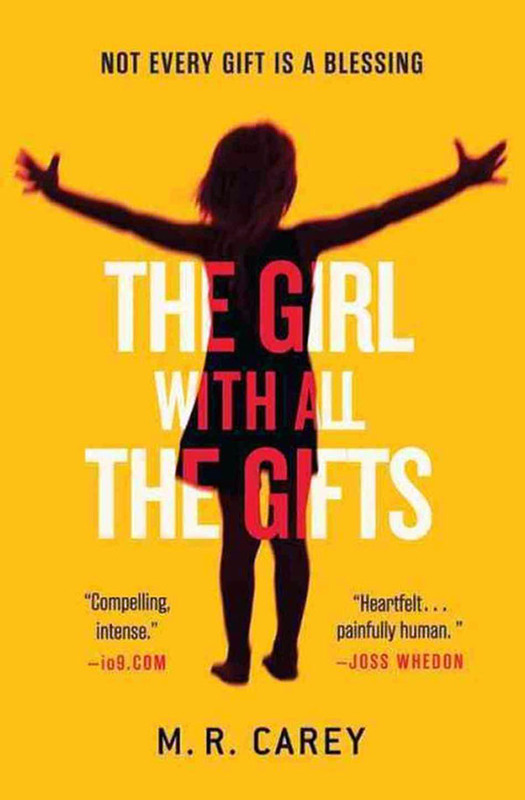 It’s called, “The Girl with All the Gifts.” It’s 20 years after a zombie outbreak. You start with all these children at a playground. You don’t know why they’re being treated so poorly. They’re half-human and half-zombie. They’re hybrids. I was drawn to it since Marceline is a demon hybrid. I like all kinds of books. I’m definitely not someone who judges a book by its cover. I’ll be at the airport and give anything a try. HC: What sort of music are you currently listening to? OO: Well, I like how Apple iTunes organizes your music and makes suggestions. It has me now listening to Justin Bieber. My boyfriend wasn’t a fan but now he is. I’m also enjoying the oldies, like The Doors. HC: Any new writing projects brewing? OO: I don’t want to jinx it but we’re in talks with my publisher, Abrams, about a new book. And I’m working on new music. I’d say, right now, I’m not reaching a quarter-life crisis but more of a quarter-life reprocessing of what path I want to take. I’ve been so fortunate to be so successful at such a young age. So, if there are any young listeners out there, don’t worry about having to know what you’re doing since I don’t always feel that I do. HC: I think you’re on a great path. I foresee more of the same with new discoveries along the way. OO: Yeah, I’ve been extremely fortunate. I’m a lucky girl but I always want to top myself and find what’s new. HC: Well, great. Thanks so much, Olivia. OO: Thank you, Henry. This has been a great chat. Really great questions. “Adventure Time: The Enchiridion & Marcy’s Super Secret Scrapbook!! !” is published by Abrams. Visit them right here. And be sure to catch Marceline the Vampire Queen on Cartoon Network right here. I really enjoyed this interview it’s a rare form of candid insight. I love Adventure Time. It piqued my interest because of the frequent references to Celtic mythology and the surrealism. Many thanks for sharing. I hope your having a pearler of a weekend mate. Warmest regards! Sounds good to me, Lee. Always fun to hear from you!